Calibration and Validation of the sensors onboard various satellites has become important to monitor the quality and performance and continually upgrade the ability to calibrate these sensors. Calibration is the process of monitoring by way of comparing the accuracy of measuring instrument with a standard. Vicarious calibration refers to the techniques that make use of natural or artificial ‘targets’ on the surface of Earth for the post-launch calibration of satellite sensors. For satellites, this exercise is essential in order to improve/maintain the quality/accuracy of the bio-geo-physical products derived by the satellite data over the entire mission life of the satellite. 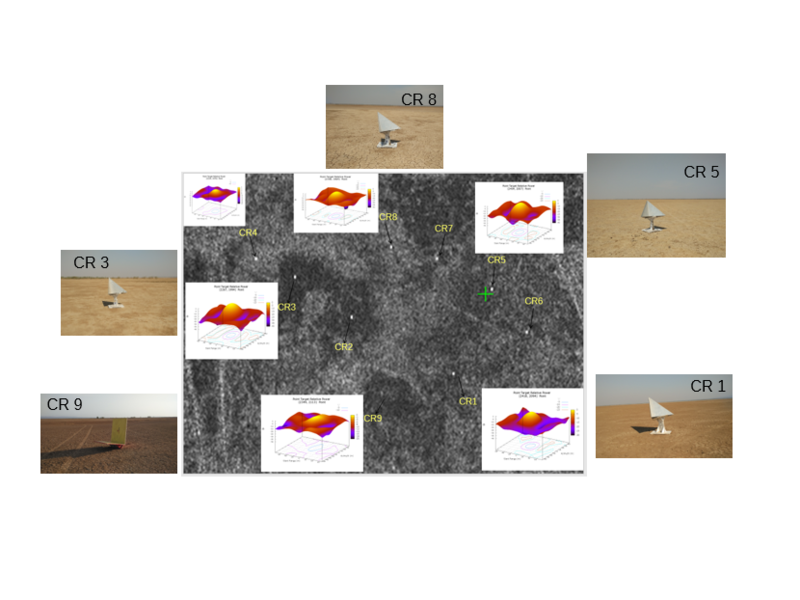 Response function, field photographs and response of the deployed Corner Reflectors as seen in RISAT MRS Image of 10th March 2016 at Desalpar, Rann of Kutchh, Gujarat. Space Applications Centre is involved in vicarious calibration of sensors onboard ISRO’s Earth observation satellites and validation of its bio-geo-physical products using controlled and instrumented sites over land, ocean and atmosphere. These satellites include INSAT-3D, OCEANSAT-2, RESOURCESAT, CARTOSAT, RISAT-1, MEGHA-TROPIQUES and SARAL. 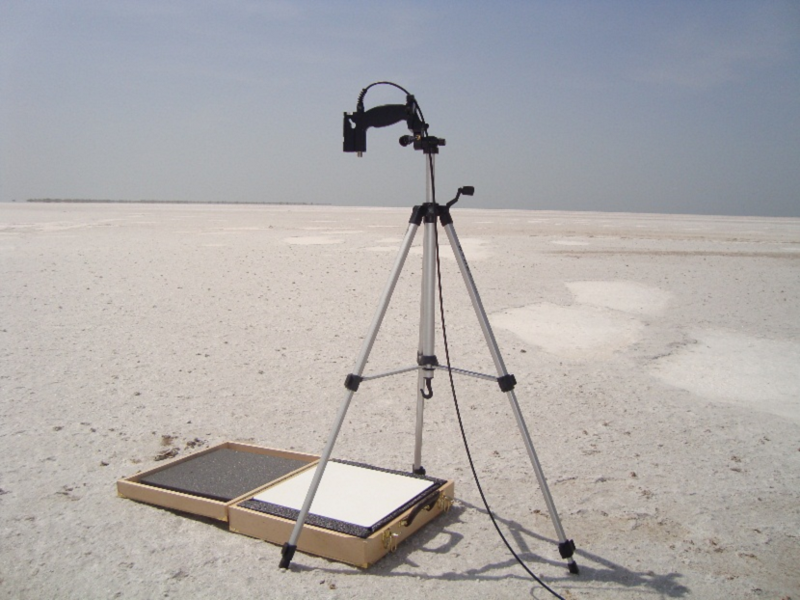 Instruments like Sun-photometer, underwater radiometer, radar tide gauge, micro-rain radar, disdrometer, bucket rain gauge, corner reflectors, radiosonde, fluorometer are being regularly used for calibration and validation of satellite data/products. Chlorophyll, Sea surface temperature, rainfall, temperature and humidity profiles, sea surface height, aerosol optical depth etc. 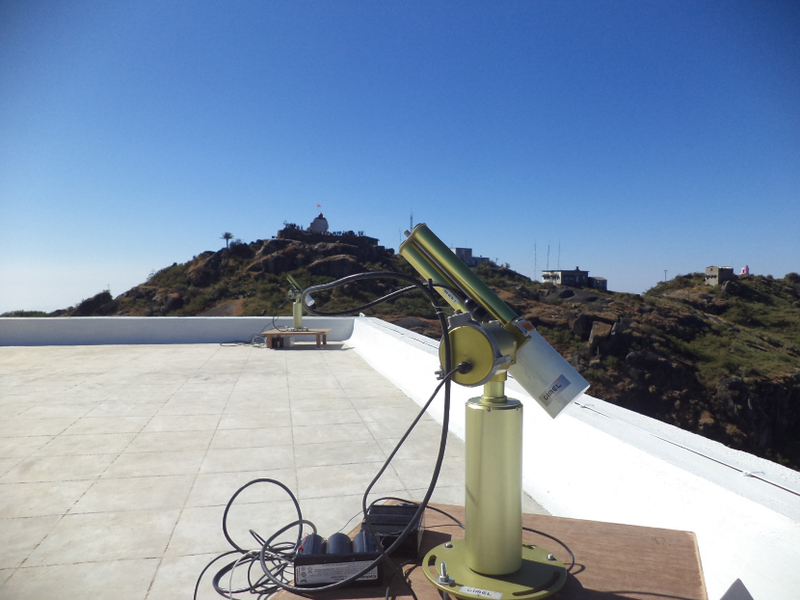 are some of the satellite derived bio-geophysical products which are being regularly validated with the measurements by state of art instruments installed at various calibration/validation sites in the country.